Mr B’s Proper Walks is hosting another proper fundraising at The Blacksmith and the Toffeemaker on 16th February 2019! 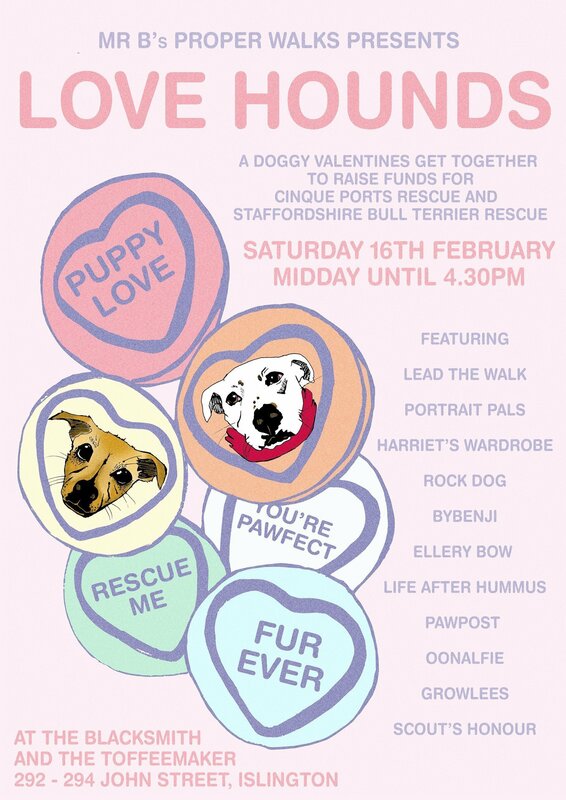 ‘LOVE HOUNDS’ is a Valentines doggy get-together, raising funds for Staffordshire Bull Terrier Rescue and Cinque Ports Rescue! They will be raising awareness for our chosen charities on the day too, you will be able to find out about some of their dogs looking for homes, see some of their special appeals and just find out more about the #properamazing work they are doing for rescue dogs across the UK!